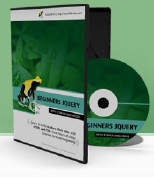 I like to announce our new JQuery video tutorial course. This is not a one of my completely free courses but I released about 40 minutes of free videos from the course. This post was written by: admin and posted on Thursday, September 3rd, 2009 at 1:17 pm.